Welcome to the Savvy New Canadians resources page. This page will be updated regularly to bring you exciting and worthwhile resources, deals and freebies within the realm of personal finance in Canada. So be sure to check back regularly! You can now check your credit score free of charge in Canada. Sign up with Borrowell to access your free credit score and free monthly updates. They will also provide a copy of your credit report. Get your free credit score and report here. For those in the U.S., you can obtain your free credit score from Credit Sesame here. 1. Checkout 51: Checkout 51 is a money-saving app/website that allows users to upload receipts from their grocery shopping and earn cash back on qualifying purchases. Sign up here to start saving plus a $5 bonus! Read my review of Checkout 51 here. 2. Ebates: Use Ebates when shopping at your favourite retailers (over 700 stores) to get discounts and real cash-back. Join Ebates Now and get a $5 welcome bonus. You can also read my Ebates review here. 3. KOHO: This cash back app and reloadable Visa card will pay you a 0.50% cash back on all your debit purchases. Trying to avoid credit cards, KOHO rewards you anyway! Sign up here and receive up to a $60 cash bonus using the promo code FREEDOM20. Read my full KOHO review here. 4. Swagbucks: Earn real cash-back when you shop and also when you complete simple tasks such as taking surveys, watching videos, and more. Join Swagbucks and get a $5 welcome bonus. Check out my full review of Swagbucks here. 5. Drop: The Drop app rewards you automatically in cash for your everyday purchases. No effort is required on your part – simply sign up and start earning. Download Drop here (+$5 sign-up bonus). You can also read my Drop review here. 6. Caddle: Caddle is a cash back program that helps Canadians save money while making everyday purchases. Users of the app also get paid to answer short surveys, watch ads, and write reviews. Sign up here to start saving today + $1 sign-up bonus! Read my Caddle review here. 7. Great Canadian Rebates: Use Great Canadian Rebates when shopping at your favourite retailers including Amazon, Hudson Bay, Ebay, Home Depot, Lowe’s, Staples, Nike, Expedia … for discounts and real cash-back. 1. 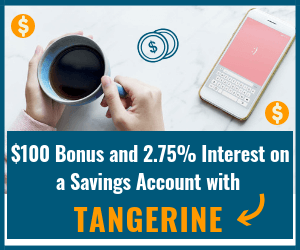 Tangerine: Bank with Tangerine for competitive high-interest savings rates. Open an account using this link and fund it with at least $100 to receive a welcome bonus of $50. If you open a chequing account at the same time, you receive a $150 cash bonus. 2. EQ Bank: Check EQ Bank for some of the most competitive high-interest rates on savings and GICs available in Canada. Sign up for high-interest savings here! or Sign up for high-interest GICs! Here’s my full review of EQ Bank. 3. Mylo: This app will automatically round up your purchases and invest your spare change so you can increase your net worth hassle-free. Download Mylo and get $5 free. Read my full Mylo review here. Investing doesn’t have to be so hard or expensive. Digital wealth managers aka Robo-Advisors can help design your portfolio using low-cost index funds (ETF’s) that minimize your fees, boost your long-term returns, and are adequately diversified. Free financial advice, and more! Open a Wealthsimple account here and start building your wealth. You can also read my comparison of Canadian robo-advisors here. Paytm Canada rewards you with a variety of gift cards and cash when you pay your bills (utilities, credit card balance, insurance, internet, cable, rent, tuition, property taxes, and more) using their app. Sign up for Paytm and get a $5 welcome bonus when you enter the promo code PTM2477287 during sign-up! Read my full Paytm Canada review here. 1. Swagbucks: They have paid their members over $290 million and provide multiple ways for you to earn money, including completing surveys, watching videos, playing games, and shopping. Join Swagbucks here and you will receive a $5 welcome bonus. 2. Maru Voice Canada: They pay you between 50 cents and $5 per survey. Join Maru Voice here. 3. Pinecone Research Canada: This survey panel pays between $3 and $5 per survey. Join Pinecone Research Canada here or Join Pinecone Research U.S. here. 4. Survey Junkie: This is one of the most popular top paid survey sites out there. You can redeem your points for cash or gift cards. Join Survey Junkie Canada here. Join Survey Junkie U.S. here. 5. Opinion Outpost: They pay you to participate in market research and for contributing your opinions. Join Opinion Outpost Canada or Join Opinion Outpost U.S.
You can save tens of thousands of dollars in mortgage payments when you use the right mortgage broker to get the best (lowest) rates. Check out IntelliMortgage to compare the best mortgage rates in your area. 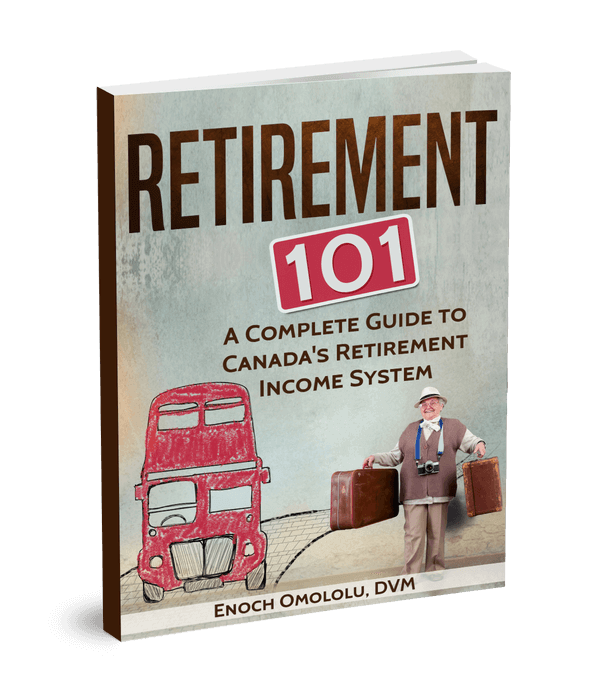 I’m giving away two FREE eBooks titled: “A Simplified Guide on How To Buy A Home in Canada“ and “A Complete Guide To Retirement Income In Canada.“ These free guides are awesome! Simply subscribe or click on the links to get your FREE copy today! I regularly write new personal finance posts filled with valuable information relating to money, savings, investing, frugal living, financial freedom, and much more. If you want to stay updated, you can sign up for my weekly newsletter using the sign-up form on the sidebar or below.